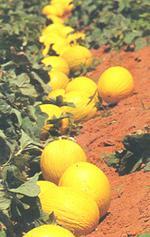 Melons are rounded or elongate, of yellow or green rind, sometimes combined depending on the variety. It has an aromatic, juicy and sweet flesh, being an ideal fruit to fight thirst. 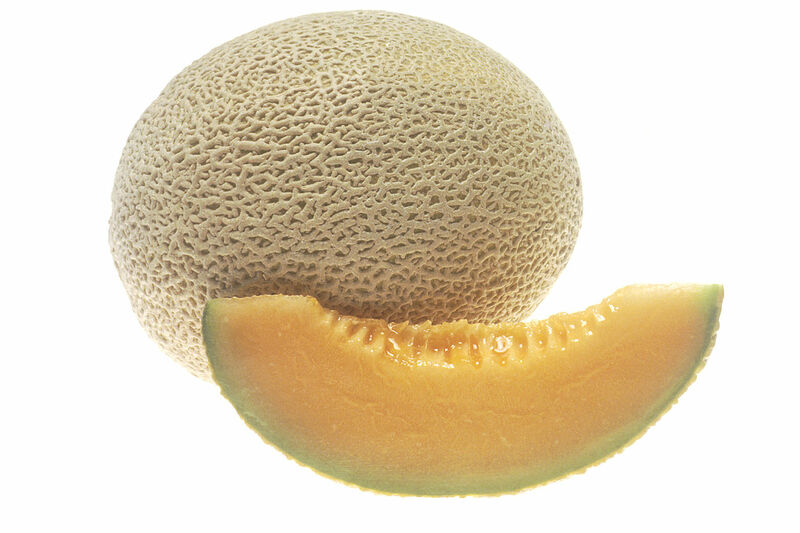 The melon is a diuretic, depurative and slightly laxative fruit, reason why it is recommended to treat constipation. It is appropriate in diets for people who suffer from gout, rheumatism and kidney pathologies. Thanks to its mineral contribution, it is recommended to be consume during periods of convalescence, anaemia and weakness. The melon is a globose, rounded or elongate fruit, 20 to 30cm long, weighing up to 2kg. The furrowed or netted bark may be of a pale yellow colour, green or combined according to the variety. The pulp is aromatic, juicy and sweet, of white or greenish white, yellow and orange colour. Inside it we find multiple yellow-rind pips. Melons are mainly consumed fresh as table dessert, although it is also used for preparing many dishes like salads and snacks, combined with ham, for instance. Besides, jams, purees, custard, yoghurts, liquors, sherbets, etc. are processed from melon. The rind is used as container for fruit salads; the seeds are widely consumed in Africa; from the seeds we also obtain oil for consumption or used in illumination. Melons are rich in water and carbohydrates, containing some minerals and vitamins. It is an ideal fruit to fight thirst. The melon season in the N hemisphere extends from July until September, although it is also consumed off-season thanks to the great number of varieties of this fruit and their greenhouse culture. The melon plant belongs to the family of Cucurbitaceae; its scientific name is Cucumis melo. It is a annual plant, crawling when it bears tendrils. The stems are herbaceous, hairy, with nodes on which the leaves, tendrils and flowers grow. The new stems sprout in the leaves axils. The leaves grow in each stem node, along with a tendril, consisting of an orbicular oval limb, of reniform or pentagonal shape, divided in 3-7 lobes with indented edges, hairy on the upperside and of rough touch. It has an abundant root system, highly branched and of fast development. The flowers are solitary and yellow. They may be masculine, feminine and hermaphrodite. The fruit has different shapes and colours, both the rind as the flesh, depending on the variety. It has spherical or elongate shape; the rind may be green, yellow, orange..., smooth, netted or grooved. The flesh may be of a white, yellow, creamy, orange, salmon pink or greenish colour. The seeds are inside the fruit, inserted on the placental tissue, being elongate, flattened and of a white or yellowish colour.